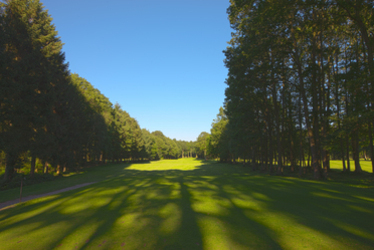 A straight short par four played down an avenue of trees. A narrow deceptively flat fairway, which can kick the ball, left into the rough under the tree canopy. As with the third hole this green can be very difficult to read.